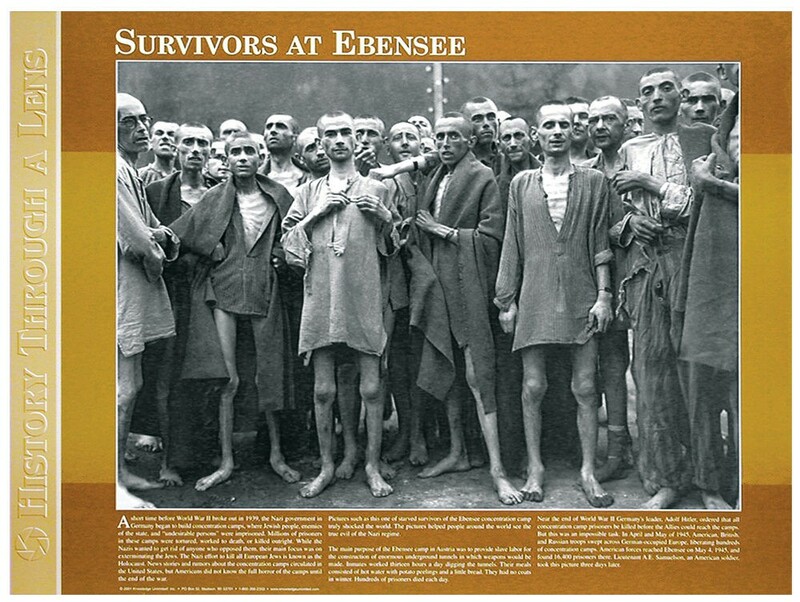 The photo on this poster of Holocaust survivors at Ebensee camp was one of the first taken of concentration camp survivors after their liberation. 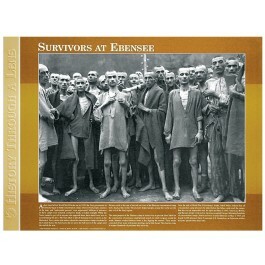 Taken by an American soldier, it is one of the most dramatic documentations of the horrors of the Holocaust. In addition to the photo, the poster features explanatory text that provides background information about the Holocaust, the situation at Ebensee, and the liberation of the camp in May, 1945.